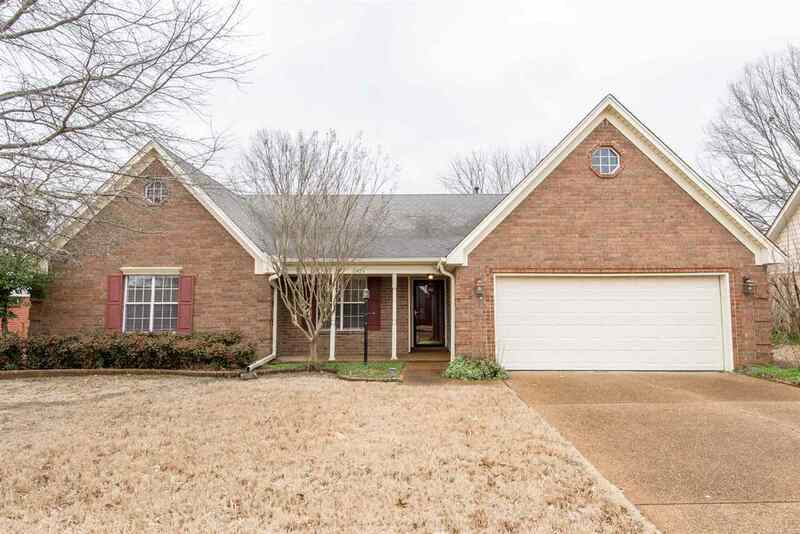 Beautiful 3 Bedroom, 2 Bath home in Great Collierville Location! New Paint throughout and new flooring. Spacious master bedroom. Great room with gas log fireplace. Separate dining room. Laundry room. Covered porch and patio. Refrigerator stays (AS IS). Exterior includes storage shed (AS IS), wood fence, portico and beautiful trees. Nearby walk to Johnson Park with lake and recreational facilities. 1 Year Choice Home Warranty! !